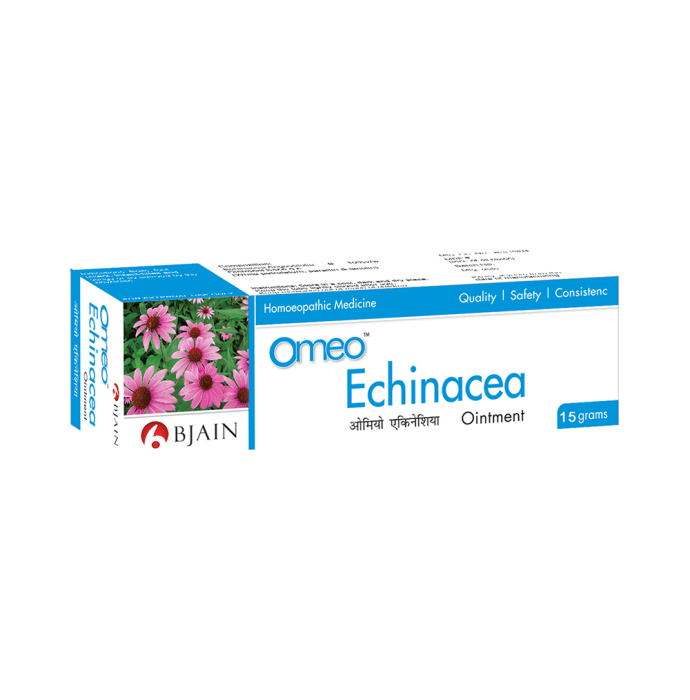 Bjain Omeo Echinacea Ointment is a homoeopathic antibacterial ointment used for treating skin boils, foul ulcers and non-healing wounds. It is also useful in conditions such as necrosis, stings, and insect bites. It is made of medicinal and non-medicinal ingredients for efficient and safe results.